Car looks very nice and in good condition, hope you find the right buyer, bit small for me. The Z4m is regrettably Definitely for sale now was still unsure whether to sell her but needs must unfortunately so guys she needs a good home and to be cared for this car is stunning. 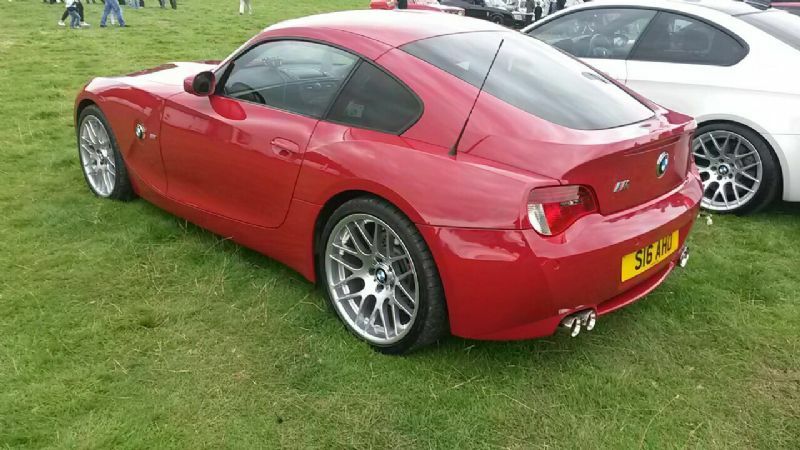 Have you put this on the Z4 Forum ? I have Nick thank you and on anym.co.uk there’s a lot of interest in her she needs a good genuine home . car still for sale due to been messed about and would you believe someone tried to scam me on it , not had much luck on the advert on anym just attracting time wasters unfortunately I will remove the ad shortly , pm me if anyone is interested in this fantastic car . Sorry to hear your not having much look at the moment with the car especially with some scroat trying to scam it from you & with the time wasters. It does look an absolutely stunning car from the photos. Whilst you might take a hit, auction normally works or trade in with BMW dealer? have you tried Sytner Leicester they always claim to want nice used BMW, they have a person who just does that I think. Do you know Stacey who runs Z roadster.org, she might help. She works at Silverstone where I am most weekends. I could ask her if you like? I don’t know Stacey that would be very helpful thanks I’ve have it advertised on the z forum too there’s a few interested from there , many thanks the z roadster . .Org sounds good I’m not sure if my friend advertised it on there a few days ago not heard anything as yet . I can also pin it up in the Silverstone Racing Club for you if you would like. I am there this weekend.